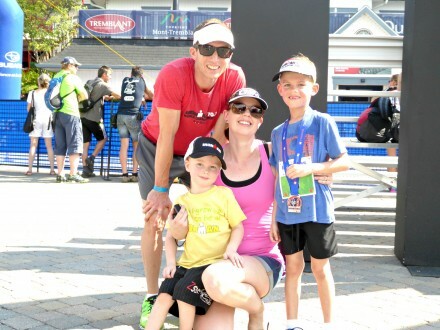 Enjoying Ironman Mont Tremblant as a family. Photo credit Sherry Wernicke, Triathlon Traveling Mom. 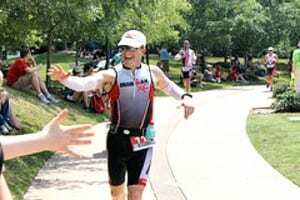 Family travel and triathlons are the perfect match. With more and more moms, dads, grandparents, and even the kids doing triathlons, there are amazing new race destinations popping up around the world. Many of them are exciting with tons to do for the whole family. Others may be super cool, but they may not be great for a family triathlon destination. Triathlon race days can be overwhelming for anyone, but for the triathlon newbie family, there’s the added pressure of the unknown. Plus, the family gets all pumped up and excited, only to end up waiting around all day and being bored and tired. It can be a real let down or overwhelming, if you don’t do a little research before hand and make a plan. So, especially for the newbie family, I thought I’d share my top five tips when planning your first family travel triathlon. Think about travel time and if your family members are good travelers. 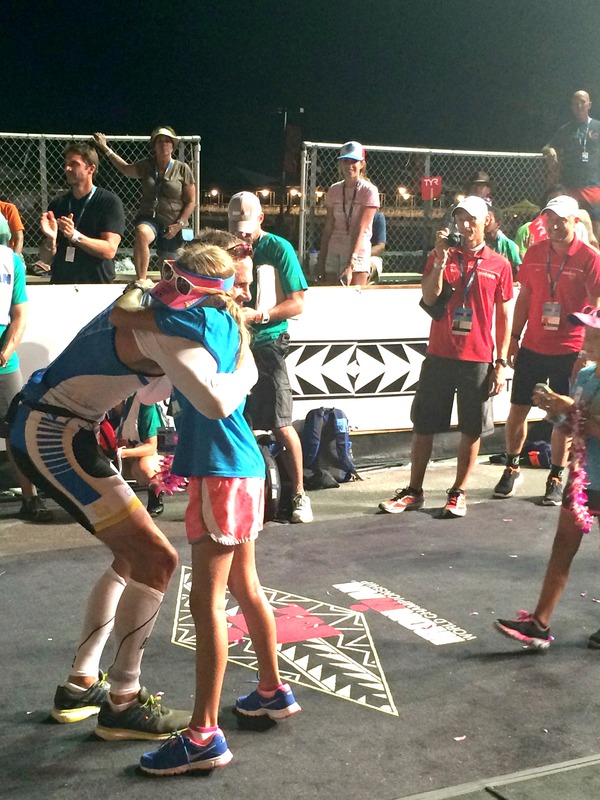 Time zones make a big difference, not only for the triathlete, but also for the kids. If you’re doing a road trip, remember to plan drive time so that the adults don’t arrive exhausted and the kids are ready to go from napping. Triathletes travel with lots of gear as do kids, so if flying, make sure to rent the appropriate vehicle for transporting everything. Being able to reach out and high-five your dad – priceless. Photo credit Dana Zucker, Triathlon Traveling Mom. A story here: we once traveled to a race destination by car and we thought, “It’s a bigger city. There will be a decent grocery store close-by. We’ll just get everything when we get there”. NOPE! It was bad, really bad. We could not find any race nutrition for hubby and I could not find snacks my kids were used to. 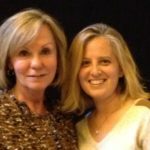 The issue here is that when we eat food we aren’t used to, belly issues may ensue and it is even worse for triathletes. Get in touch with the local store and see if they carry what you need; bring it with you; or ship your goods to where you’re staying. Don’t make “big plans” for the day after the race and get everyone excited about it. This is especially true if it’s a full distance Ironman. You never know what can happen race day. We always recommend a recovery day for the whole family, then let the activities begin. Arriving early to a race to have some family fun can also be a good idea, but remember, your triathlete may be preoccupied pre-race and you may be on your own a lot. 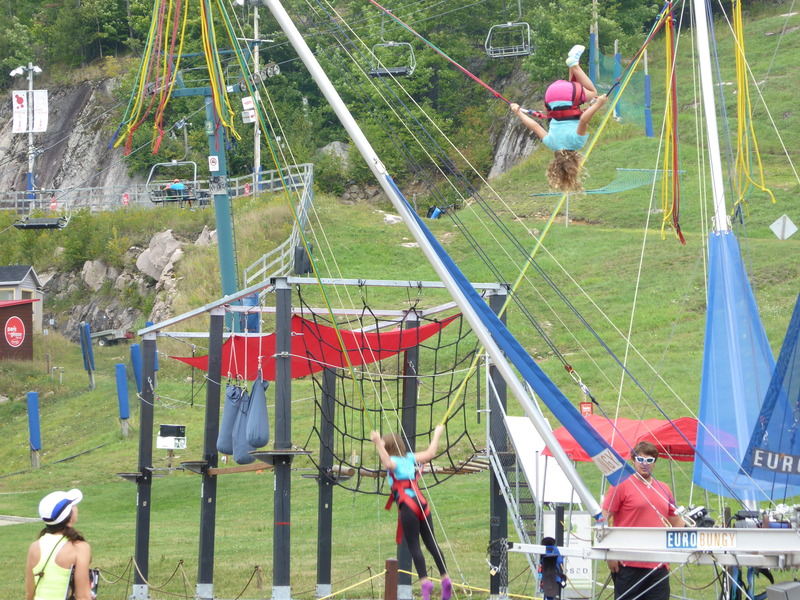 Children’s play area in Mont Tremblant. Photo credit Sherry Wernicke, Triathlon Traveling Mom. 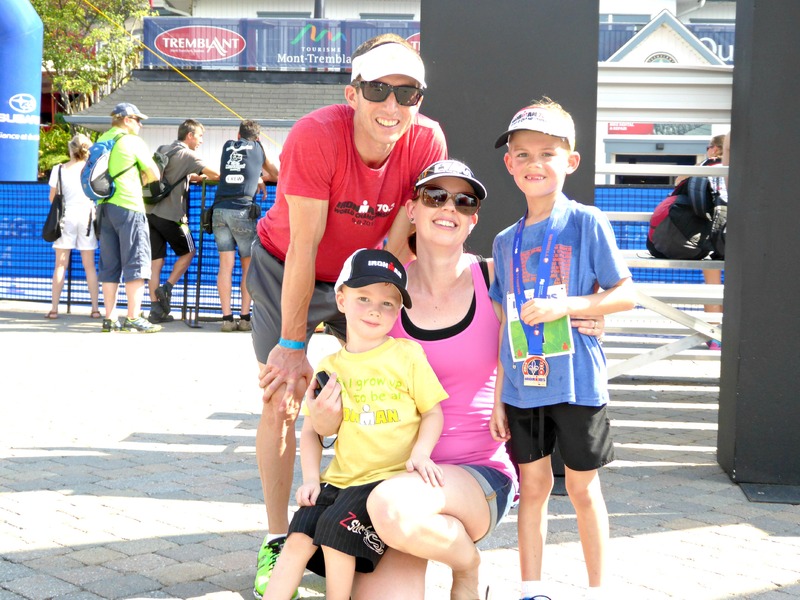 We love to recommend that families try out Challenge/Rev3 races as their first family travel race. 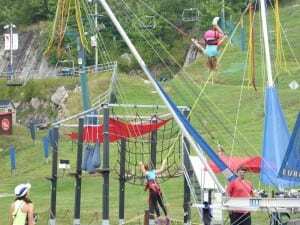 They are designed for family fun and include kids’ races and/or triathlons, glow runs, and many are located on the grounds of amusement parks approiate for kids of all ages. Make sure there is an open space for kids to play and run around. Being stuck in a stroller all day can wear on you and the kids. Because this is what it’s all about. Photo credit Sherry Wernicke, Triathlon Traveling Mom. Pick your first race carefully and remember, the race is about the whole family, assuming everyone is going. Set yourselves up for an awesome race by simply planning ahead of time. We want you to have a great first experience, so you come back for more!